The 27-year-old businessman accused of paying a handyman $20 to burn a vacant house — a blaze that claimed the life of a Detroit firefighter — has been bound over for trial, the county Prosecutor’s Office said today. Mario Willis is charged with felony murder and arson of a dwelling in the death last November of Walter Harris, a 17-year veteran of the Detroit Fire Department. The handyman who set the fire, Darian Dove, 40, pleaded guilty to second-degree murder as part of a deal to testify against Willis. Ok, I have to flat out disagree with MURDER charges here. 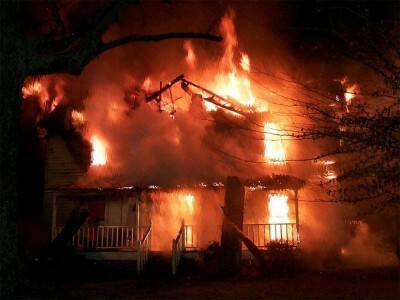 The house was vacant when the fire was set, they did not intend to hurt anyone. Should they be punished? Yes, of course. But murder charges? Really? If they knew someone was in the house or weren’t sure and set the fire anyways, then yeah, murder charges. But this firefighter responded to the scene and died doing his job, I don’t see how that warrants a charge of murder. This entry was posted in Blog, Detroit Ghetto News, Uncategorized and tagged detroit arson, detroit crime, detroit fire, Detroit Ghetto, detroit murder, detroit police, detroit's ghetto, fires, metro detroit news on November 27, 2009 by Admin.